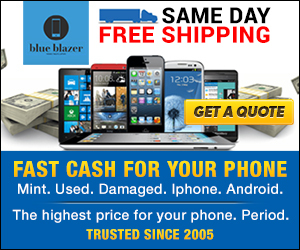 Get the most money for your used phone. Period. Register on the Blue Blazer website, then print your free shipping label. Ship it off and wait for your cash. Choose to receive a check in the mail or a PayPal payment.